On the Slim d'Hermès Les Zèbres de Tanzanie and Arceau Cavales. Derived from the French word for “inlay work”, marquetry originated among cabinet makers in 16th century Rome and France, who assembled small pieces of different exotic woods to form a single, patterned panel when building church furniture. Of late, a handful of luxury leather goods houses, from Loewe to Moynat, and even high-end furniture makers, have applied the technique to leather, piecing together tiny slivers of hide as an embellishment on handbags and furniture. 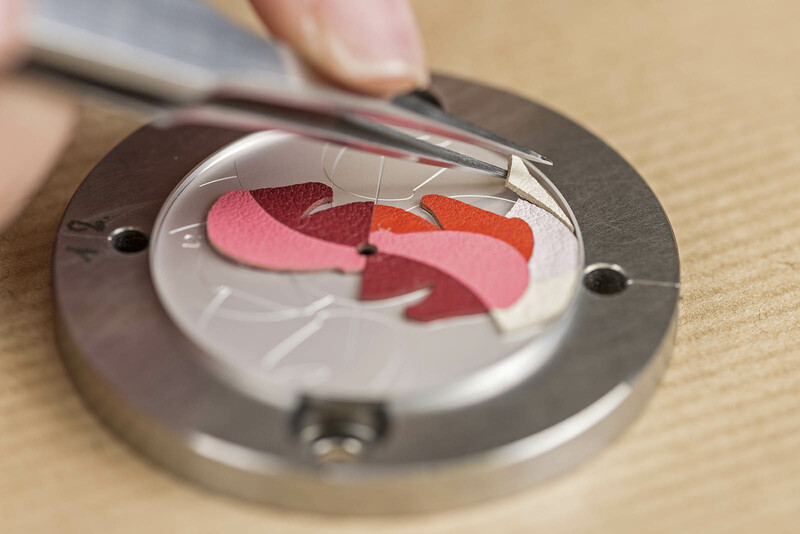 La Montre Hermès, the watch division of the Parisian maker of Birkins and Kellys, has taken on the more challenging task of using leather marquetry on the minute confines of a watch dial where pieces of leather are thinned, cut and glued onto a metal base to form an animal motif. The technique makes its watchmaking debut on two signature Hermès watches: the asymmetrical, stirrup-shaped Arceau, and the more formal, streamlined Slim d’Hermès. 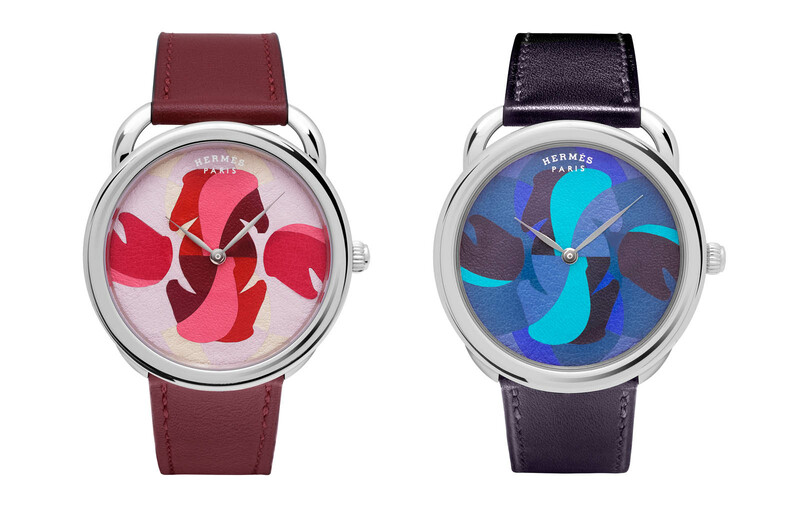 The Arceau Cavales Marquetry is available in two colours – “Hermès Red” and “Indigo Blue”, each a six-piece limited edition. Made from full grain calfskin, the leather that forms the dial is first carefully thinned about 0.5 mm, before being cut to the required size and shape. 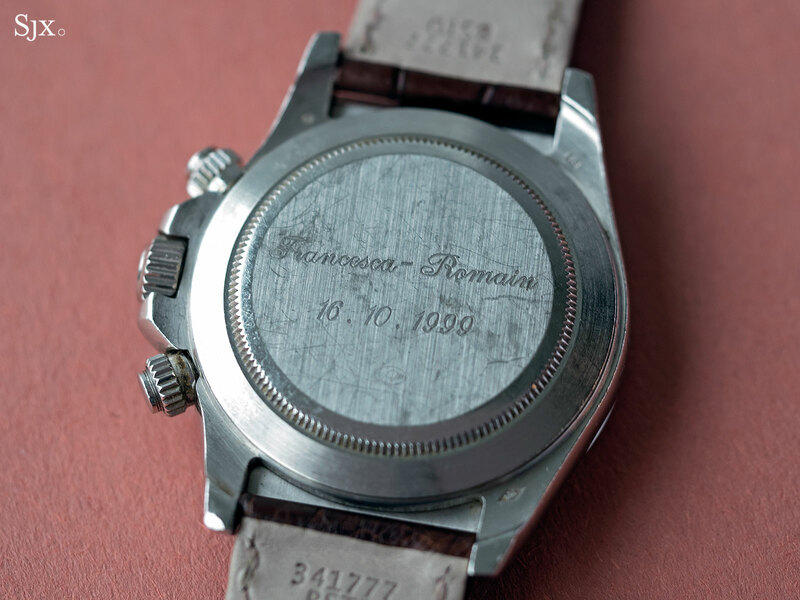 One by one, the leather fragments are picked up with a tweezer and assembled on the dial like a jigsaw, forming an abstract pattern inspired by the silhouette of a horse. 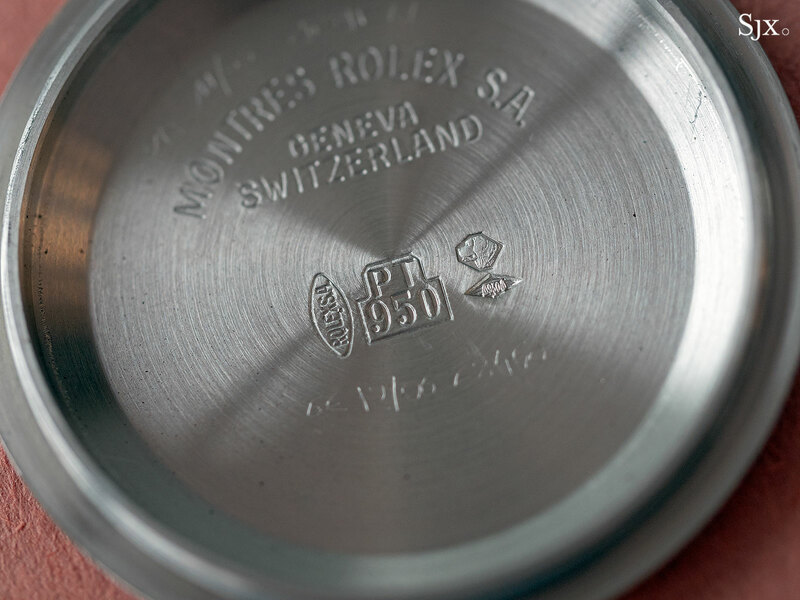 The Arceau case is 18k white gold and 41mm in diameter. It is equipped with the automatic H1837 made by Vaucher, a movement maker of which Hermes owns a quarter stake (with the balance being owned by the foundation that also owns watchmaker Parmigiani). Limited to 12 pieces, the Slim d’Hermès Les Zèbres de Tanzanie takes the artisanal technique even further by combining leather marquetry with traditional champlevé and miniature enamelling (which is why it is considerably more expensive than the Arceau above). 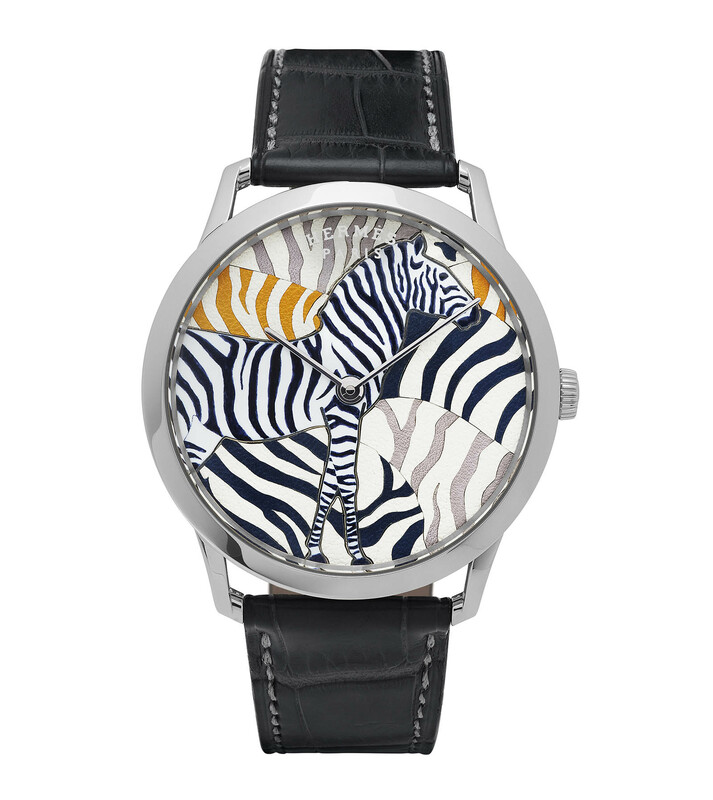 Inspired by a motif created expressly for Hermes in 2010 by Yves-Marie de Malleray, a French painter who often depicts wildlife, the watch dial is composed of an enamelled zebra against a background of zebra stripes in leather, creating a contrast of matte and polished surfaces. 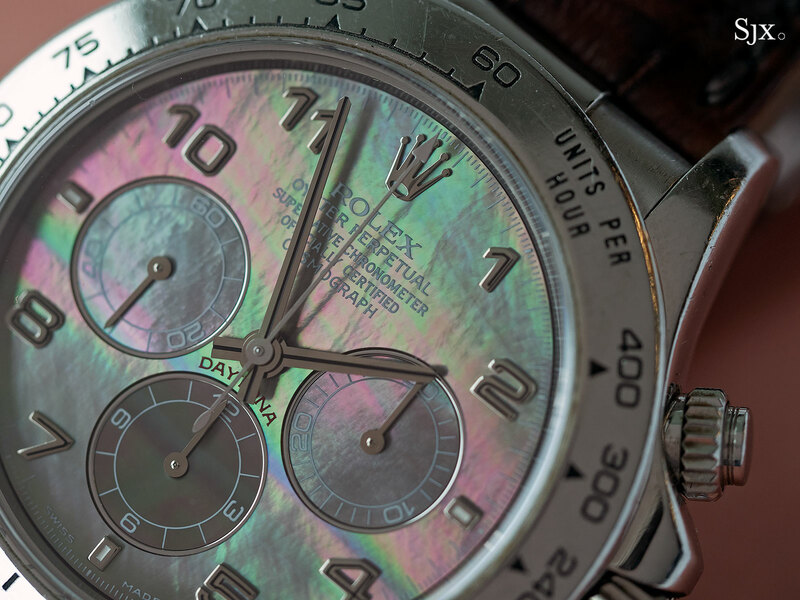 The process of creating the dial is particularly laborious with the combination of decorative techniques. 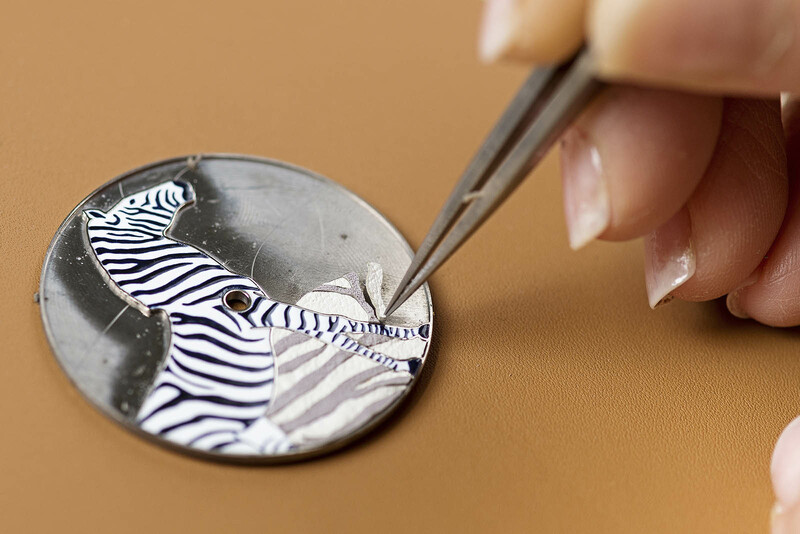 First the dial base is hollowed out to create the outline of the zebra, before the cavities are filled with several layers of white enamel. The piece is fired in an oven until the enamel fuses to the base, and then cooled. 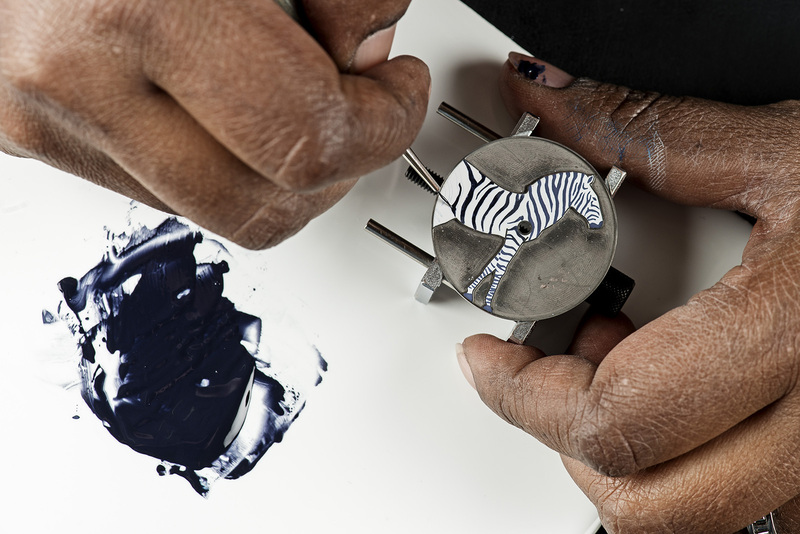 Then the white enamel is polished, followed by a second application of dark blue enamel for the zebra’s dark stripes, which again entail a trip to the oven. 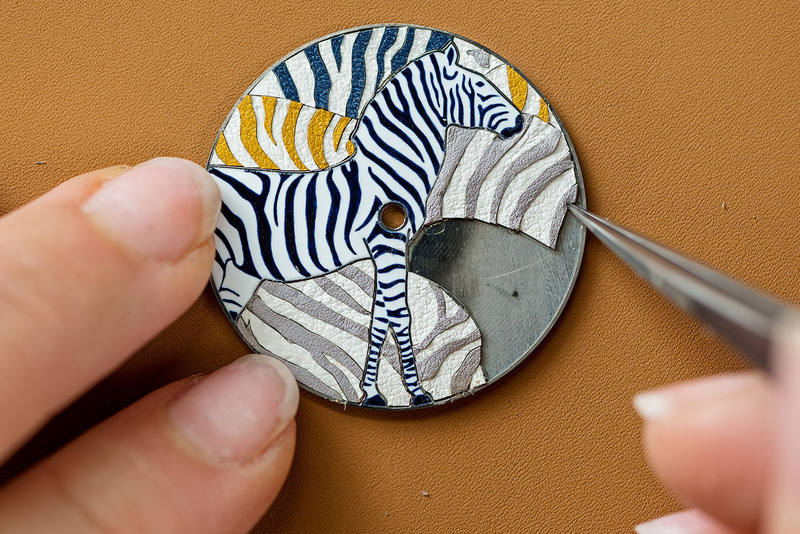 Finally, hand-cut leather inlays strips are carefully arranged around the enamelled zebra. 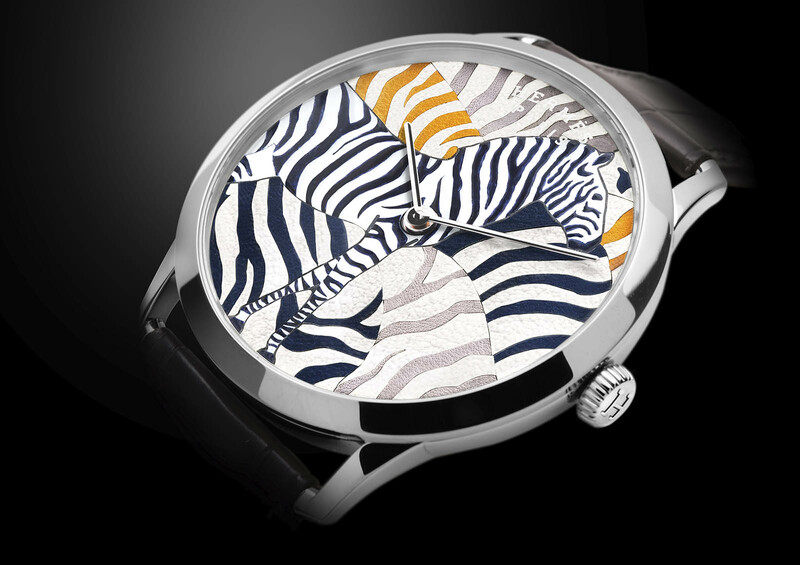 The Slim d’Hermès Les Zèbres de Tanzanie has a 39.5mm, 18k white gold case and is powered by the ultra-thin H1950 calibre with a micro-rotor, again produced by Vaucher for Hermès. The Arceau Cavales is priced at US$37,400, or S$50,400. 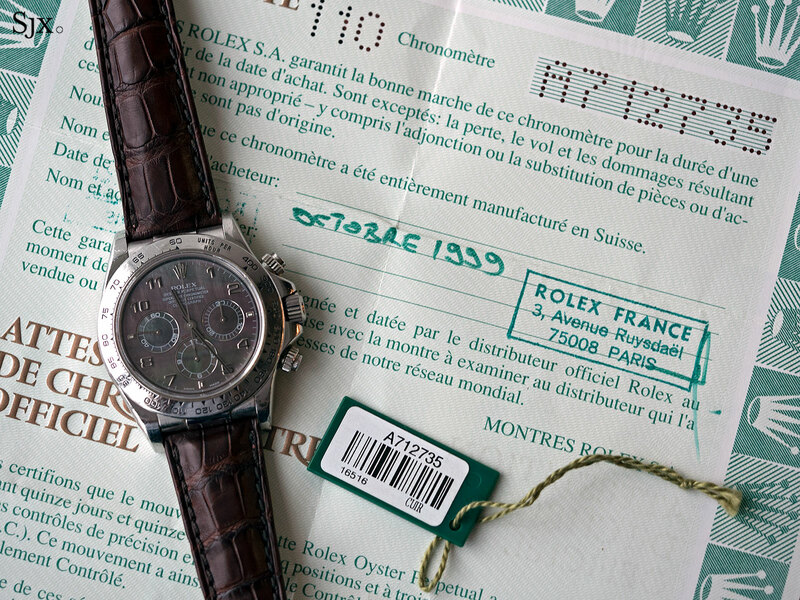 The Slim d’Hermès Les Zèbres de Tanzanie is US$56,100, or S$75,500.